Adelaide is the diverse hub and wine capital of South Australia. At Not1Night, we offer some incredible discounts on Adelaide hotels, motels, hostels and serviced apartments which are well suited to business, family, holiday and government travel. We make booking accommodation simple, cheap and hassle free. For long term, conference and corporate bookings, please contact our Specialised Corporate Management Team. 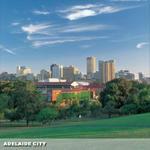 The Adelaide CBD is located just 7 kilometres from the Adelaide Airport. The city centre is easy to navigate, whether you are walking, driving or catching public transportation. Adelaide boasts stylish architecture fabulous arts events and galleries, fine dining and top rated cafe strips and retail districts in Hutt Street, Rundle Street, Topham Mall and Gouger Street. The Rundle Mall and Gilles Street Market offer impressive vintage garments, boutique clothing and exclusive designer wear. The multicultural Central Market is a great place to buy fresh produce, fashion and memorabilia. Adelaide is a city that loves to party! Visitors flock to the Adelaide’s famous festivals including the Adelaide Festival, Adelaide Fringe Festival and WOMADelaide. For trendy bars, pumping nightclubs and memorable entertainment, be sure to check out the excitement of Hindley Street. We offer a fantastic range of best value 4 star and 5 star serviced apartments in the Adelaide city centre which are ideal for executive, government and leisure travel. For the budget conscious traveller, we offer a great range of affordable hotels, motels and backpackers accommodation. North Terrace is the cultural boulevard of the Adelaide city centre and boasts quality tourist attractions for adults and children alike including the Art Gallery of South Australia, Parliament House, the War Memorial, Government House, Adelaide Festival Centre, Grand Central Railway Station, Adelaide Casino and the gorgeous Botanic Gardens. Walk, cycle or even row a boat along the spectacular River Torrens Linear Park trail which will take you from the CBD to the Adelaide Zoo and Convention Centre and end at the spectacular sandy white beaches of West Beach (and neighbouring Glenelg). The kids will love the Adelaide Aquatic Centre in North Adelaide. For sports lovers, lock in a visit to the sensational Bradman Collection Museum. We have a large number of luxury hotels and budget furnished apartments in North Adelaide and the city centre that are well suited to holiday, family and corporate travellers. For extended stay and temporary relocation apartments, we bring you some best rate weekly rental deals. The gorgeous beachside precinct of Glenelg is a perfect holiday and executive travel destination. With its long sandy beaches, trendy cafés, bars and chilled pubs, this is an ideal place to relax and enjoy the beauty of South Australia. Book online now for some highly discounted studio, 1 bedroom, 2 bedroom and 3 bedroom self contained apartments with stunning ocean views. In Glen Osmond, we offer some terrific budget deals on discount 3 star hotels. This is a perfect accommodation option when travelling with children, with a wide range of cheap but comfortable king hotel rooms, family hotels rooms and queen hotel rooms. Glen Osmond is ideally located only 10 minutes by car from the Adelaide CBD and a short drive from the historic town of Hahndorf (and its famous chocolate factory). Feeling active? Take a hike or bike ride along the plethora of nearby tracks at Mount Osmond, Waterfall Gully, Cleland Conservation Park and Mount Lofty. Daytrips from Adelaide: Adelaide is a perfect gateway to some gorgeous wine and hiking day trips. Take a one hour drive to the Barossa Valley for spectacular red wine tasting and world famous restaurants and fine dining. Alternatively head to the gorgeous mountains of the Adelaide Hills for white wines and the McClaren Vale wine region to explore over 60 world class vineyards and wineries. Enjoy a dose of nature and wilderness at the iconic Kangaroo Island (just two hours' drive and a short ferry ride south of Adelaide) which boasts boast pristine beaches, unique wildlife and incredible sunsets. Planning a road trip across South Australia or Australia? Not1Night offers some fantastic accommodation discounts for each stop along your driving holiday! Majestic Old Lion Apartments North Adelaide North Adelaide quality self contained serviced apartments - leisure,hospital, convention & long term corporate accommodation. Adabco Boutique Hotel Adelaide CBD 4 star elegant, boutique, recently renovated and refurbished hotel located in the heart of Adelaide CBD. Apartments on George Adelaide CBD 4 star quality 2 bedroom self contained serviced apartments for business or leisure in Norwood, Adelaide. Findon Hotel Findon Budget hotel motel accommodation - Adelaide leisure & corporate accommodation. Plaza Hotel Adelaide Adelaide CBD The Plaza Hotel is situated on Hindley Street, Adelaide's entertainment district, with its many restaurants, cafes & nightlife. Rex Hotel Marleston Budget hotel motel accommodation in Adelaide’s western suburbs - Marleston leisure & corporate accommodation. RNR Serviced Apartments Adelaide Adelaide CBD 4 star 2 & 3 bedroom self contained townhouses in Adelaide CBD. Hello Adelaide Motel + Apartments Frewville Budget hotel motel accommodation & self contained serviced apartments - leisure, long term corporate & convention accommodation. Playford Tavern Davoren Park Adelaide budget hotel motel accommodation - Davoren Park leisure & corporate accommodation close Playford Alive Precinct. Oaks Horizons Adelaide CBD Adelaide CBD luxury self contained serviced apartments- leisure, convention, hospital & long term corporate accommodation. Oaks Liberty Towers Glenelg 4.5 star 1 & 2 bedroom self contained serviced apartments in the beautiful Adelaide beachside suburb of Glenelg. Quest on King William Adelaide CBD 4 star self contained studio, 1 & 2 bedroom apartments located in the heart of Adelaide CBD. Comfort Inn Scottys Medindie Budget hotel motel accommodation - Adelaide leisure & corporate accommodation only 5 km from the Adelauide CBD. Hume Serviced Apartments Adelaide CBD Adelaide CBD quality self contained serviced apartments- leisure, corporate & convention accommodation for short & long term. Adelaide Royal Coach Adelaide CBD Luxury hotel accommodation opposite beautiful parklands mins from the Adelaide CBD - ideal for business and leisure. Adelaide Backpackers and Travellers Inn Adelaide CBD Budget hostel Backpackers & hotel motel accommodation located in the heart of the Adelaide CBD. Adelaide International Motel Glenelg 3.5 star motel offering ideally located 1km from the heart of Glenelg, 10 minutes from the airport & Adelaide City. Chelsea Apartments Adelaide CBD Boutique style, 2-bedroom apartment accommodation in central Adelaide. La Loft Apartments Brompton Brompton 4 star designer 2 bedroom 2 bathroom self contained serviced townhouses situated in Brompton, close North Adelaide. Pavlos Motel Pooraka Budget hotel motel accommodation close Ridgehaven, Adelaide CBD - leisure, corporate & convention accommodation.